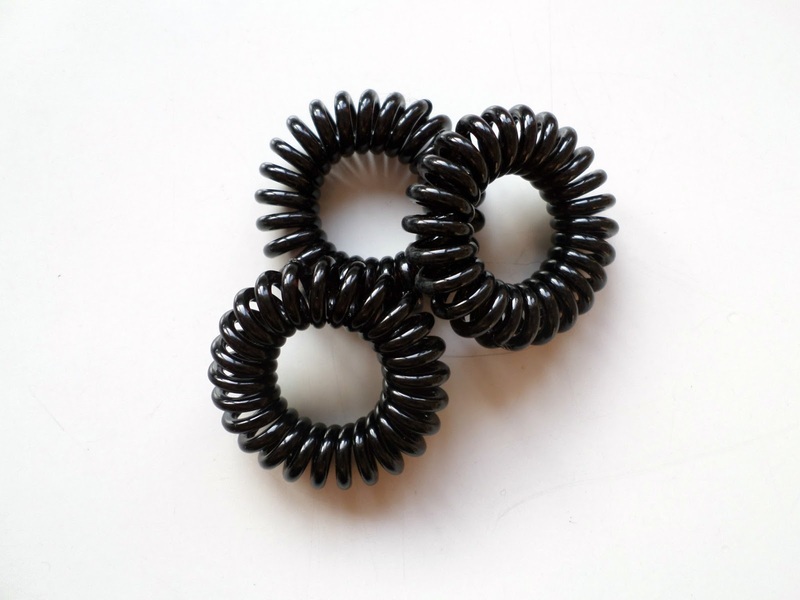 Lately I’ve seen a lot of these hairbands called: invisibobble. And my brother’s girlfriend is a hairdresser and she was always wearing them too. So I got curious about it and asked if I could borrow one. Because they’re a bit expensive and I thought: ”if it doesn’t work and I buy it, it would be a waste of my money”. So after a week I was very happy about the results. I noticed that after I had worn the hairband that the ‘bobble’ in my hair wasn’t that visible than when I had a normal hairband in my hair. So I bought a box with these special hairbands. Now after almost a half year I’ve found out that: yes, it does make the bobble less visible. But: no, it doesn’t disappear. Also, I’ve got very thin hair and when I wear the hairband my hair is going in the ‘bobbles’ of the hairband. Which makes it impossible for me to take out the hairband without pulling 50.000 hairs out of my head. So at first I was so happy that I didn’t have that horrible bobble in my hair. But at a second thought, I’m not that happy about it anymore. I’m scared that I go bald. I still use it though, because they look better around your wrist than a normal hairband. Because when I took a normal hairband of my wrist I always had a red mark of the hairband that had been way to tight around my wrist. 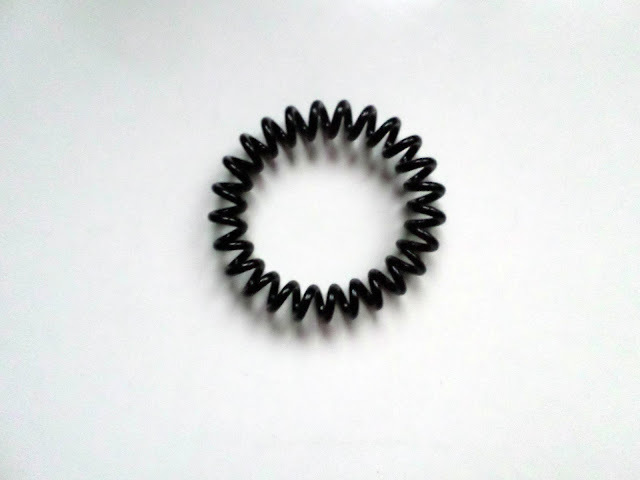 When I grab this invisibobble hairband it doesn’t have those bad marks. So as you heard this hairband isn’t really good for in my hair and I barely use it for my hair. But I always got it with me to play with and to pass time when I’m bored. So it still has a good working for me. Maybe not what it’s been made for. But I found my own way to use it! In the photo the hairbands are just out of the package. I've got one that is stretched out and that I always use. But because the light was very bad today I couldn't make a good photo. I'll upload a photo tomorrow or wednesday of the stretched hairband that I use and play with. Do you also have invisibobble? Do you have the same problem as I have or does it work better for you? Let me know in the comments below. Here's the photo as promised. 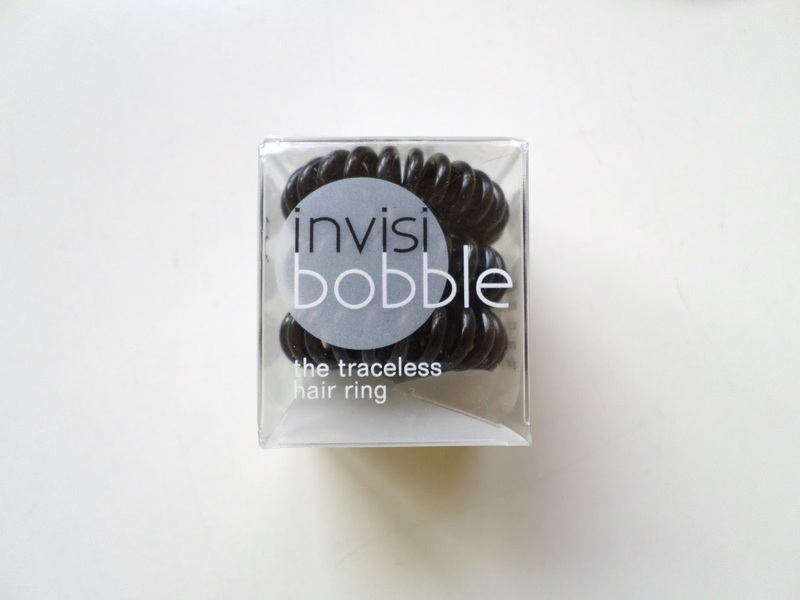 This invisibobble is strechted out a little although I've seen much worse. It does fit around my wrist very well and this is my favourite one to play with! I had to use a lot of extra filters to make the photo bright because the light isn't very good in the evening. So that's why it's a bit blury.